That FaceTime is currently only available when connected to Wi-Fi is, obviously, a limitation. But that it uses Wi-Fi — data, rather than voice networking — is an indication of just how big a deal it is. It’s the beginning of Apple’s end-run around the phone carriers. You can switch to FaceTime from a call that started as a voice call, but as Dan Frommer reported at Business Insider this week, once you switch to FaceTime, you’re no longer using voice minutes. The voice call ends once the FaceTime connection is made. More importantly, you don’t need to initiate a FaceTime call using a voice call. You can start the call using FaceTime directly, in which case the entire process takes place over IP networking. The advantage to starting with a voice call is that you’ll get a voice connection even if the recipient isn’t on Wi-Fi at the moment. But surely, someday, there will be a non-phone-carrier wireless networking technology with far greater range than Wi-Fi. 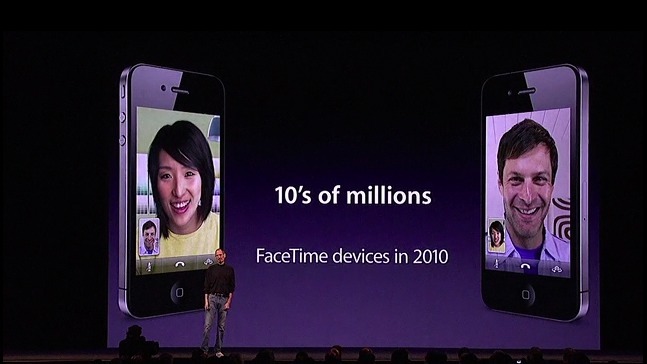 FaceTime, I think, is a first step in the direction of a mobile “phone” with no mobile carrier. If and when FaceTime is supported over 3G in addition to Wi-Fi, it’ll be data, not voice — megabytes, not minutes. And immediately, starting today, it’s a step away from tying your iPhone’s “calls” to your carrier’s network.